The NBA All-Star Game is tonight and I am going to rank who I think have the best chance to win MVP. Westbrook always has a great All-Star break and this really has been is best season. He is playing out of this World and is the most explosive player in the game. 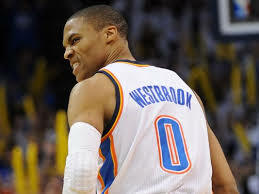 Don’t be surprised if the MVP Westbrook wins it coming off the bench. 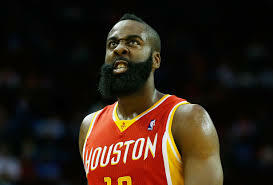 James Harden is playing at an MVP level, leading the league in scoring and he is the best one on one player in the NBA. Me as a Thunder fan, I am still in disbelief that OKC traded him. Harden is the favorite to win it. He will put on a show tonight. Being from Chicago, I had to put a Bull on this list. Although Butler has been nurturing an injury he said he’s ready to go. Butler has the most upside in the NBA and he is relentless. Many people would be shocked if he brings back the ASG MVP to Chicago, but I won’t be. 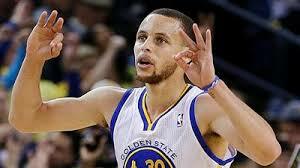 Curry is arguably the greatest shooter of all time. Coming off of his very impressive 3-point contest victory, it could be very likely that Steph rides that momentum into the All-Star game and winning the MVP. Even though Melo and his Knicks have had the worst season possible, the Stars are aligning for Anthony at the All-Star game. His home town is the host city and this will be his last game of the season for him because the Knicks are shutting him down after the ASG. 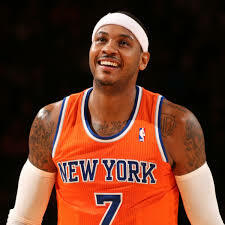 How sweet would it be front of the Knicks fans to see Melo end it with the MVP. This entry was posted in NBA and tagged Carmelo Anthony, Chicago Bulls, Golden State Warriors, Houston Rockets, James Harden, Jimmy Butler, NBA All-Star Game, New York Knicks, Oklahoma City Thunder, Russell Westbrook, Steph Curry by just1mike. Bookmark the permalink.